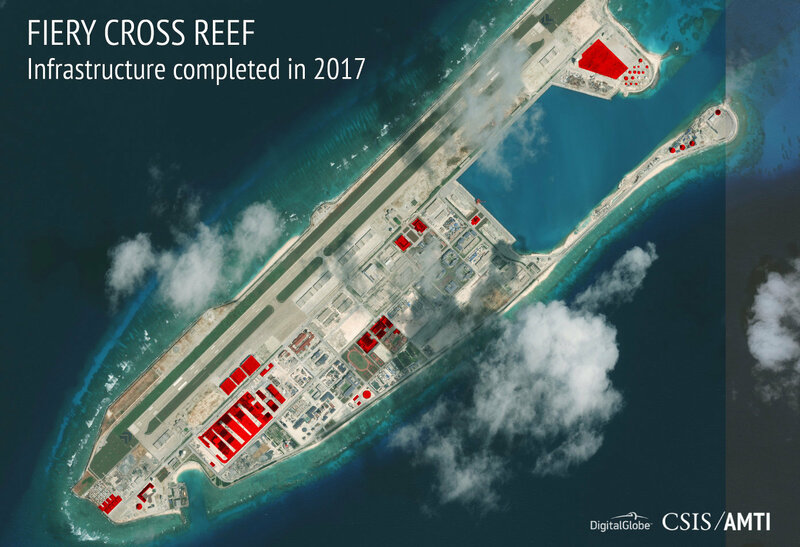 A recent report from the Center for Strategic and International Studies claims that China has built upwards of 290,000 square meters of new facilities on the islands in 2017 alone. According to the report, newly built facilities on the islands include munitions depots, radar systems, sensor arrays, as well as missile shelters. China's artificial expansion of some of the islands in the South China Sea to accommodate air strips and other military facilities have led to them frequently being referred to as "unsinkable aircraft carriers." 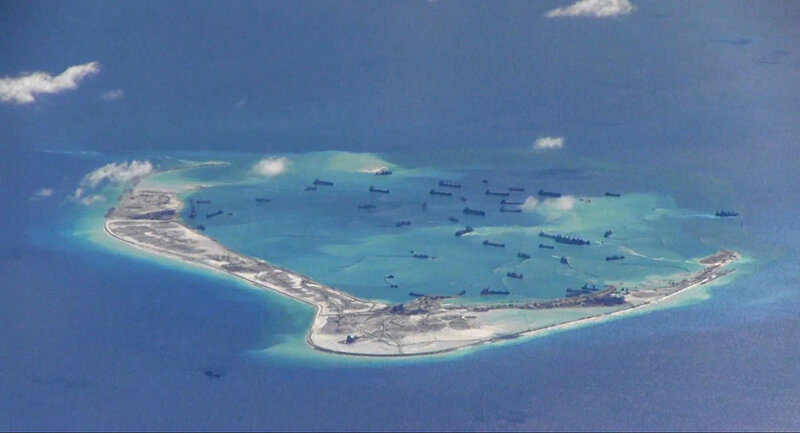 Although far from the South China Sea, the US has become worried over Chinese advances in the region. The New York Times reports that in the recently-passed US defense budget, a provision was included that authorizes US Navy ships to make port calls in Taiwan. The move is seen as an effort to increase pressure on China. This development has sparked the ire of China, which is opposed to official military ties between the US and Taiwan, which China regards as one of its provinces. "We firmly oppose any form of official exchanges or military links between Taiwan and the US, as well as US arms sales to Taiwan," Chinese Foreign Ministry spokesman Lu Kang said at a news briefing. Recently, a Chinese diplomat in the US reportedly warned that China would attack Taiwan militarily in the event of a US Navy ship docking in Taiwan, according to the Taiwanese newspaper Taiwan News. The South China Sea has grown to become one of the most dangerous flashpoints in the world. While China claims most of the islands in the sea, many neighboring states have also posited their own claims to parts of it. Backing up its claim, China has been quietly building infrastructure and deploying military hardware to the islands.